ASCA Merit Certificates are awarded to the Top 10 scoring dogs in a competition year. The top twenty dogs on the Merit List will be announced in the Aussie Times and on the ASCA website. 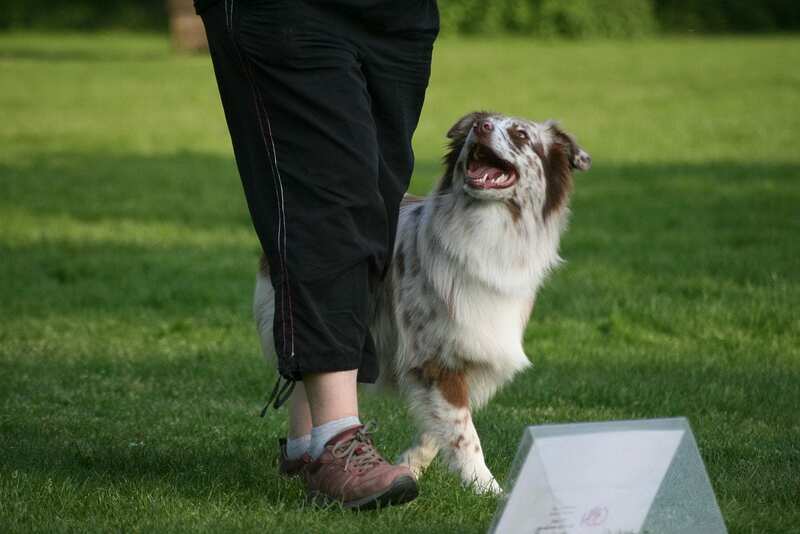 Any ASCA or LEP registered Australian Shepherds owned or co-owned by a Full ASCA member in good standing during the qualifying period is eligible to compete for the prestigious Merit List. Each year the first place winners will receive a complementary photo of their dog in the Aussie Times magazine where Merit winners are recognized. Well earned recognition for teams that may not show often, but who consistently produce excellent scores! Scores are earned from June 1 through May 31 of the following year and are averaged to calculate the dog’s Merit score. There are separate Merit lists for Novice, Advanced, Excellent, Masters, Rally Excellent/Masters and Rally Trial Champions. Once a dog has completed the next higher level title, they are no longer eligible to earn merit scores for a lower title. For the Novice, Advanced, Excellent and Masters Merit lists, scores for each level may be earned in the A, B, and C classes. To be eligible, each dog must have a minimum of three scores. The top three scores are averaged to determine the placements on the merit list. For the Rally Excellent/Masters and RTCH Merit Lists, the dog’s top five combined scores from excellent and masters will be used for their average. Please see Section 12 of the ASCA Rally Rules & Regulations book or click here for further information and to see the complete rules and requirements for the ASCA Merit Lists. Please click here to see the current and past results of the Merit Listings.